A perfect time then to think about solar panels as an investment in the future, not only for your home but business too. The age of the feed-in tariffs has come just in time, not only to create jobs in a low-carbon society but to reduce dependency on an ever-volatile oil industry. The generous feed-in tariff scheme has been running for a year now, and domestic and commercial installations have increased to seek tenfold to cash in on the excellent return on investment, which solar panels have now become. Because of the financial rewards on offer, city speculators attempted to take advantage of the feed-in tariff scheme. With its excellent rate of return, by building larger solar parks, but this has been capped to protect the system for homeowners and commercial installations, which the scheme was initially intended. Feed in tariffs remains an attractive investment, with the added benefit of being index linked to inflation and tax relief, to which the government has continued firmly committed. Homeowners and businesses, who invest in an under 4kW PV electric, solar panel installation qualify for the highest feed-in tariffs of 15.44p/kWh, guaranteed for 20 years. Also, this type of solar installation can provide considerable reductions in your electricity bills depending on the size of the system you install. Chris Huhne, the energy secretary, has increased the renewable energy budget to over 3.2 billion for the next three years. The new Renewable Heat Incentive (RHI) started this April and again is developed to achieve a reduction in CO2 and energy dependence by 2020. 36% of the United Kingdom energy is used for heating, creating 175 million tonnes of carbon emissions a year. The development of solar heating technology incentive gives support to homeowners with a one-off payment of 850 and an expected 8.5p per kWh reward, guaranteed for 20 years and starting in October, for the heat energy you save through a solar heating installation. Also, this type of solar installation can provide reductions of up to 35-40% in fuel bills if the system is used for domestic hot water and central heating. Solar water heating was the most popular green energy technology under the previous subsidy scheme. It works very well, so it is good that it will receive excellent support. However, the schemes have been designed to degrade over time, meaning previous installations will benefit from the higher rate and later installs will receive lower rates. 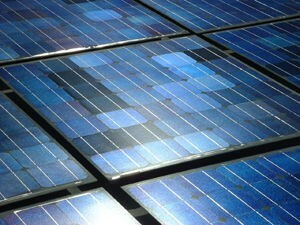 The scheme is continuously under review, as it is designed to propel solar panels into the mainstream technology arena. Once this occurs, the tariff rate on offer will quickly reduce for later adopters. Participants will provide feedback on how the scheme works to help design the second phase. Free solar panels, what’s the catch? Another consequence of the feed-in tariff scheme is the advent of companies offering free solar panels. However, we don’t recommend them. Solar companies who offer free solar panels are cashing in on the feed-in tariffs and taking away your entitlement to the reward. There is a lot of money to be made, and they are taking that benefit away from you. Secondly, if you leave your home empty during the day, maybe going to work, then the energy savings they promise will be minimal. Finally, you will find it hard to sell your home in the future if another company contractually owns your roof for a minimum of 20 years. Invest yourself and receive the feed-in tariff rewards yourself.